Traveling to the Cape this summer? Along the way, you will see one of the most recognizable man-made structures the Cape has to offer. 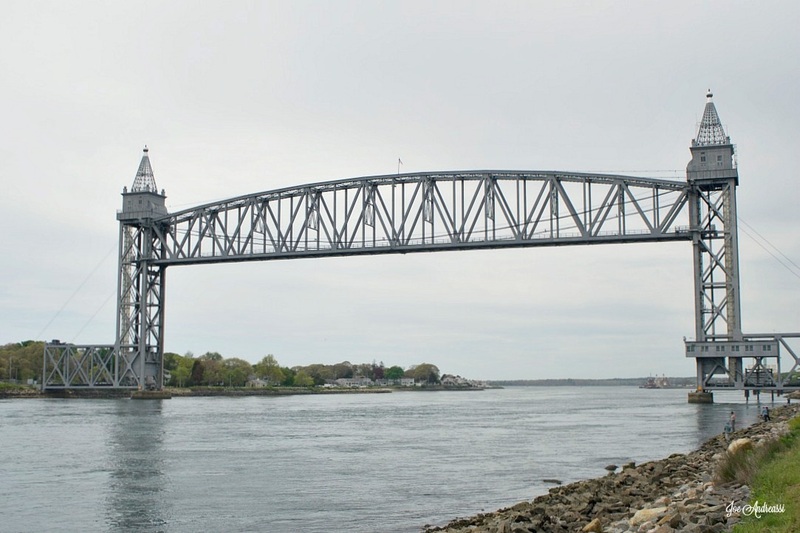 The Cape Cod Canal Railroad Bridge, also known as the Buzzard Bay Railroad Bridge, or simply "the Railroad Bridge." The bridge was first constructed in 1933 and finished in December of 1935. The current bridge replaced a bascule bridge that had been built in 1910. At the time of its completion, it had the longest vertical lift span in the world; now it is the second longest lift bridge in the U.S. The bridge has a 544 foot main span and a clearance of 135 feet when raised. It is owned and operated by the U.S. Army Corps of Engineers. In 2002, the Railroad Bridge underwent major rehabilitation and reopened in 2003. Cables, machinery, and electrical systems were all replaced and the bridge was repainted, at a total cost of $30 million. The Cape Cod Canal Railroad Bridge only has a single track and takes two and a half minutes to raise and lower. It is now primarily used for transporting waste. Although during the warmer months, the bridge is used by a commuter rail bringing passengers from Boston South Station to Hyannis. No matter where you are coming from, seeing the bridge lower is always exciting to watch. Whether driving by or fishing in the canal down below it is remarkable. It truly is a unique man-made structure that compliments the sky-line and is beautiful to behold during a summer sunset.